Have a ton of photos on Facebook? Wish you could do something cool with them? Have a look at our Facebook InstaCollage wizard, that allows you to create huge, poster sized collages from your (and your friends’) photos up on Facebook. You can also apply color effects on the collage, add bigger photos, great looking text, and much more! 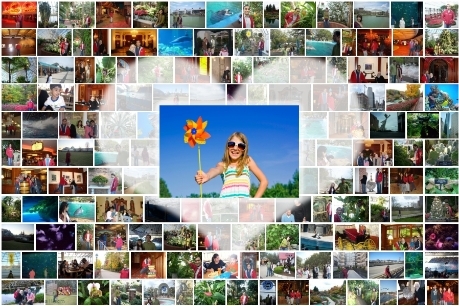 You can easily order prints of your poster collage, and share it on your Facebook Wall with a couple clicks as well. Want to learn more about how it works? Take a tour of PosterMyWall.